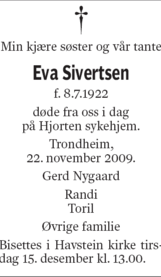 I was sorry to hear of the death of yet another notable contributor to English dialectology: Eva Sivertsen, former Professor of English at Trondheim. She will be remembered for two books in particular: one, Fonologi, in Norwegian, 1967, which I have not read, and the other, Cockney Phonology, 1960, which was one of the main sources I used for my discussion of London pronunciation in Accents of English, vol. 2. This was a version of her PhD dissertation. Her data collection in London was before my time, but I remember Gimson describing her assiduously cycling off to Bethnal Green to make her recordings. In keeping with what was then seen as modern and trendy in phonology, she applied the Trager-Smith system, which involved analysing English long vowels and diphthongs as consisting of a short vowel plus one of the semivowels (“peak satellites”) /j/, /w/, /h/, the latter being realized postvocalically either as a schwa offglide or as the lengthening of a mid or low vowel. By 1980, when I was writing, that was neither modern nor trendy, but it was no problem to reinterpret her excellent and detailed data. I got to know her when teaching part-time at Trondheim in the early 90's. Although we are of course very sorry to have lost our friend, we take some comfort in having assisted her relatives in establishing contact with the research group investigating London English (Jenny Cheshire, Sue Fox and Paul Kerswill). They have received invaluable recordings and other documentation from her work in London that were not part of her dissertation and are very excited about it. In a message Nils-Lennart [Johannesson] received from her family, it says that she experienced great joy during her last months knowing that the London people appreciated her donation. Her niece writes that this made her 'regain her dignity'. Graham Pointon has also written about her in his blog. That is very bad news to hear of her death. I'd be interested to know if transcripts are kept of all dialect recordings. I fear that, as dialect-speakers and -experts die out, we may end up with some recordings that no-one can decipher anymore. Very sad news indeed. Yes, we have been very fortunate to receive a lot of Eva's material, providing us with valuable real time data with which we can compare our current recordings of London English. Yes, indeed. We shall be sending her two nieces, who have been in touch with us, a card from our project. It is very comforting to know that the legacy will last, and that her hard work will be there to help along future generations. I was just informed yesterday, that my own supervisor had died of an aneurysm. I didn't get to make amends with him after my failure to write a thesis. I never met her, but I remember reading her book on Cockney English in the late 1960s, and thinking that glottalised, or preglottalised, voiceless stops were probably more widespread in English, and not just a speciality of the East End. Alas, those around me who did know her also moved on many years ago. Maybe there's some sort of linguists' Valhalla where they'll all see each other again. 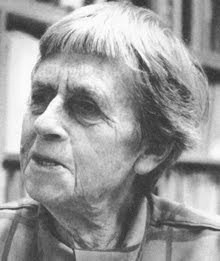 Professionally Eva Sivertsen was, above all, a great linguist and a great teacher.Her work on Cockney English was pioneer work and will stand the test of time. And she always gave high priority to her students. SS SKAUBRYN bound for Australia in September, 1952. I recall being invited to join the two ladies for lunch and this served to seal a friendship that lasted for years. However, I am still sadly missing this lady and her mother who also died a little earlier. My purpose of this comment is to seek help in obtaining at least one recording, a CD perhaps of Eva Sivertsen's voice. I recall enjoying their company as well as being educated by this great lady Eva Sivertsen. Thank you.